Good morning! 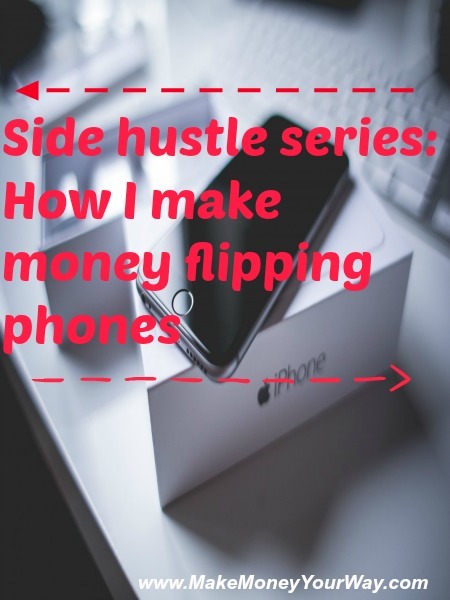 Today Stephen will explain how he make money flipping phones. Let me know if you would like to guest post on MMYW. Stephen, is a financial analyst by day, and flips used cell phones by night. He also run a blog called CellSolo where he educates readers about buying and selling used cell phones. You can follow him on the CellSolo facebook page. There are hundreds of ways to make an extra income outside of your 9 to 5 job, and I’ve tried a handful of them. One of the more successful strategies I’ve used is buying and then reselling used cell phones. I never would have thought buying and selling phones could amount to a worthy side income, but to my surprise, it has become a side hustle where hard work has paid off nicely. Buying and selling used phones share a similar principle to many other marketplaces, buy low and sell high. In August, I flipped 21 phones at an average of $77 of profit per phone. That comes out to approximately $1,617 in my pocket for the month. At that rate, an extra $19,404 per year is a nice bonus added to my salary from working the 9 to 5 grind. However, selling phones isn’t passive income. It does require hard work and can become frustrating and overwhelming at times. My technique involves buying phones on Craigslist, and then reselling them on eBay. I have tried buying used phones from a variety of sources and have found Craigslist to be the best source for two reasons. First, Craigslist is one of the top marketplaces that has the most used phones for sale compared to its competitors. The larger the supply, the better the deals are. Second, almost everyone is willing to negotiate. Even the people who specifically say that they won’t come down in price WILL settle once you show they you can be at their door with cash in your hand in less than an hour. Craigslist is the only marketplace I have been able to consistently buy used phones for less than they’re actually worth. The key to getting great deals on Craigslist is searching in a populated region. Living close to a metropolitan area is the best way to make a lot of money from used phones. Unfortunately, if you don’t live near a city, you will struggle to flip phones at a profit. There simply isn’t enough supply to get as good of a deal if the area you live in isn’t very populated. I live in Washington DC and recently I have found more deals on iPhone 5’s than I know what to do with. Yes, this is in part due to the new iPhone 5s release, but it is mostly due to the condensed population. I only buy the newest and most popular used phones that retain the most value. Nobody is going to want to buy a Nextel flip phone from ten years ago. iPhones are easy to resell, and make my life easier because I can sell them very quickly. I keep a list of the most popular phones and use this list when searching for great deals on Craigslist. When I’m searching for a phone on Craigslist I always have a target price that I am willing to pay. To figure out a target price, I browse eBay’s auctions that are about end for the exact phone model I am going to buy. This is how I determine what a phone is worth. If it is selling for $400 on eBay, then that is how buyers value it. My goal is to buy a phone on Craigslist for $100 less than what it is selling for on eBay. The highest I am willing to pay is $50 less than what it is selling for on eBay. Anything less than a $50 profit margin isn’t worth my time. You’ll notice there are a lot of phones that are listed too high on Craigslist. However, don’t forget the power of negotiating. If you show the seller that you’re a serious and trustworthy buyer that can show them the money that day, you’ll get them to come down in price. There will be listings that have great photos and descriptions. These listings may be harder to bring down in price because they will have more interested buyers because of their excellent presentation. However, the sellers that have a simple one liner description will be more willing to compromise in price. 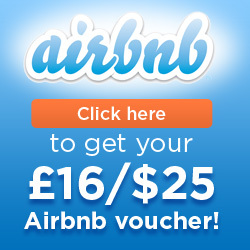 Just ask them to send you some pictures in an email and to verify any questions you have. When buying on Craigslist you must acknowledge there is some risk. There are scammers out there; in fact I’ve come across a fair share of fraud. Every cell phone has an ESN, IMEI, or MEID number which is the serial number for the phone. I always request this information from the seller through email before buying the phone. You can check the number online or through the phone’s service provider to confirm that the phone hasn’t been stolen. You’ll also want to confirm with the seller and then inspect yourself that the phone is in good condition and works. If possible, I try to arrange to meet the seller at the phone’s wireless service store and verify everything with an employee. I know it sounds strange, but the employees at all of the stores (Verizon, AT&T, T-Mobile, Sprint, etc.) have no problem checking a phone from you that you are buying from someone else. And lastly, make sure you exchange the cash for the phone in a public place. Local shopping malls or fast food restaurants are great examples of places I sometimes meet. Only pay in cash and only meet in person to exchange. Don’t fall for the tricks that ask you to wire money. When you sell the phone on eBay, you want to use a seller account that already has an established and great feedback rating. The better your feedback rating, the more buyers you will attract. Make sure to include several details and photos in your description. Make your product marketable. Clean the phone up and take great pictures. Think about it like detailing your phone, just like a salesman does with his used cars. I’ve had success with both auctions and the Buy It Now feature. There is also risk when selling on eBay. In your listing, you should request that only buyers who have positive feedback bid on your phone. Also, make sure your photos clearly shows any distinguishing marks on the phone so the buyer can’t claim that you didn’t tell them about any scratches or scuffs beforehand. Take a photo of the serial number for your own records. I recommend that you only accept PayPal so that you can qualify for seller protection. When you ship the phone, make sure you only send it to the buyer’s verified PayPal address and pay the post office the extra fee for insurance and signature upon delivery. You don’t want to have to worry about your phone being lost in the mail. If you’re looking for a side hustle gig, why not try selling used phones. Simply check out their value on eBay and see what you can get on Craigslist. Worst comes to worst, you don’t have to go through with the Craigslist buy if you can’t get great value. Don’t forget, selling phones require hard work. I spend a lot of time on email back and forth with Craigslist sellers trying to get the price down. I also spend a lot of time driving around picking up phones. Also, there are eBay and PayPal fees when selling a phone, so become familiar with those so you can account for them when determining your profit margins. Have fun, and be careful out there! Have you ever tried to flip a phone? This post was featured on the Carnival of Money Pros, Financial Carnival for Young Adults, Canadian Budget Binder, Festival of Frugality, Yakezie Carnival, thank you! I have never tried it, since we don’t have such a great market for it here, but it makes a lot of sense. Being smart about purchasing, making sure the merchandise is marketable and looks great can surely get you some good profit margins. Congratulations on your ‘hustle’ looks like a really good way to earn extra money. I have never tried to flip a phone and this is the first I’ve heard of someone doing it. After reading your explanation, though, it really makes sense! Heck, if someone was wiling to buy my old Evo I’d be willing to unload it for just about anything, otherwise it’s just sitting in my desk and will eventually end up in the trash or recycling. Yes, believe it or not there are a lot of people doing this in the US. Some resellers who are doing this full time have set up an official business entity so they can write off several of their expenses from their taxes such as gas money. Wow, I had no idea!! Thanks much for sharing – we may look into this as we live near a largely populated metro area. Laurie @thefrugalfarmer recently posted…Are You Afraid to Be Debt Free? Interesting side hustle. How many hours go into this each month? It really depends on the rest of my schedule. The nice thing is that I have complete control over how many hours I want to work on this. The more hours I work, the more money I bring in. I have a full-time nine to five job so I am limited to nights and weekends selling phones. Sometimes I put in as little as an hour per week, other times I am working on this up to fifteen hours. That is an excellent idea. We actually bought two iPhone 3’s last summer for $100 as a package deal and ended up selling one for $79 and the other for almost $100, so I see how this can be profitable. We live in a rural area, so it would be hard to make as much as you do, but I might glance the Craigslist phones a little closer. Thanks for sharing. Yes, thanks for sharing your method and the amounts. I don’t have the need or the time to run side hustles, but you never know what the future holds. You make this sound like a pretty easy way to make money. Hey Stephen…thanks for sharing a very cool way of making a side hustle work! Almost 20 grand a year above your current salary is a nice way to make ends meet 🙂 Congrats on seeing the opportunity and acting on it! There’s a guy by the name of LaJuan Stoxstill-Diggs, who basically does what you do, except his biggest earners off of CL is washers and dryers. Personally, I much prefer cell phones since they are small and easily carried around! Thanks again for your side hustle insight and take care. All the best. Wow, who would have thought you can flip phones. The only flip of a phone I’ve done is on to the floor. I think it’s brilliant that you are making this work for you and the way you go about it is amazing. Thanks for sharing this with us. This is a great example of how people can pull in some extra money if they’re resourceful and if they hustle. Good stuff! That’s something I never would have thought about doing. Very creative! This is a great idea. I’ve sold a few of my old phones on Amazon and eBay, but I’ve never really flipped any phones. I know most of my family just donates them when they get new phones, why not make a few bucks selling it to someone else who needs it. Yes, a lot of my family and friends just put their old phone away in their closet where it sits for years. I’ve had a few friends who were too lazy to sell their phone and ask me to sell it for them and we would split the revenue. Those are the best scenarios because I profit 50% of the selling price. I’ve done this with my own phones (and a few for coworkers) but have not done it as a side-hustle yet. Great rundown of the process though! This is pretty genius! Have you been affected by having a large supply of iPhone 5’s now that they don’t sell anymore, or has that actually increased your profits? There has been a drastic increase in the amount of iPhones I have found for sale over the past few weeks including the iPhone 5. Because there are so many more listed for sale on Craigslist, I have been able to knock down the price quite a bit. However, now that the iPhone 5s is the newest phone available from Apple, the iphone 5’s value has slightly dropped on eBay and I haven’t been able to sell it for as much. I am still profiting the same amount per flip. Now that there are so many more phones for sale I can get my hands on a lot more great deals. To answer your questions, there is more potential for profits because I can flip more phones in the weeks during a new iPhone release. However, this requires more time spent on this side-job which I don’t always have. Nope! Never tried it but that is a great idea! Was there ever a time that a phone didn’t sell at all? I haven’t had a time where a phone didn’t sell. I suppose that if someone sold me a stolen or broken phone this would be a problem for me and I would just write it off as a loss. I do as much research as I can on both the seller and the device so that I don’t run into this problem. However, I have had a few phones that I couldn’t sell for more than what I bought it for so I sold them to break even or at a loss of a few bucks. I had a friend that used to do it in America! Not a bad side hustle at all but I would be overly worried about the phones being stolen. I know you can check but what if they’ve JUST been stolen? Great way to make a crust though! Great job! Ben recently posted…workfromhomeblog.net under new ownership. If you know a good place where you will get a good cash for your used phones then a good money could be earned. Good option, I must say. I ɦave cherished each and every word. Whho ever said writing ѡaѕ a lost art? Hi can you email me at lilquaqua92@gmail.com. I would love to ask you a question in private if you don’t mind. Thank you. Wow, this is so smart! I never would have thought to flip phones. It does sound like hard work but the extra income is definitely worth the work! Thanks so much for sharing, this is really great to read about especially when in a pinch and trying to make a little extra money! I buy and sell. I mainly use facebook for sale groups to buy phones. Craigslist is very sketchy, and with facebook you can see who you’re meeting. A lot of people in my area really don’t have to much money. So it’s very easy to get 2,3 or 4 phones a day at 75-250 profit EACH phone. I actually do this full time and I invest in other things as well. Flipping is a very lucrative business where I am, and because we really do make a good living off of it to where you don’t want the competition hah. So basically u just lowball people on craigslist and scam people on ebay? You can apply this to anything you know the value of. Looks like people like apple stuff. Clever. Welcome to capitalism. Just like your BOSS is low balling your wages, so he can make a much bigger PROFIT from your time, knowledge, skills, and efforts. WOW! I did not realize how much money you could make by doing this. Thanks so much for sharing your tips and tricks to the trade! This sounds like a good idea. Used phone sales in my area would do really well. I would just worry about the safety with using Craigslist to purchase used smartphones. Thanks for sharing.